If you plug in your ear pods listening to songs that make you feel like you're lounging in the poolside or sunbathing in a beach, even though you're just sitting in your room amidst a concrete jungle….Most likely, you're listening to the songs and sounds of Dirty Heads. 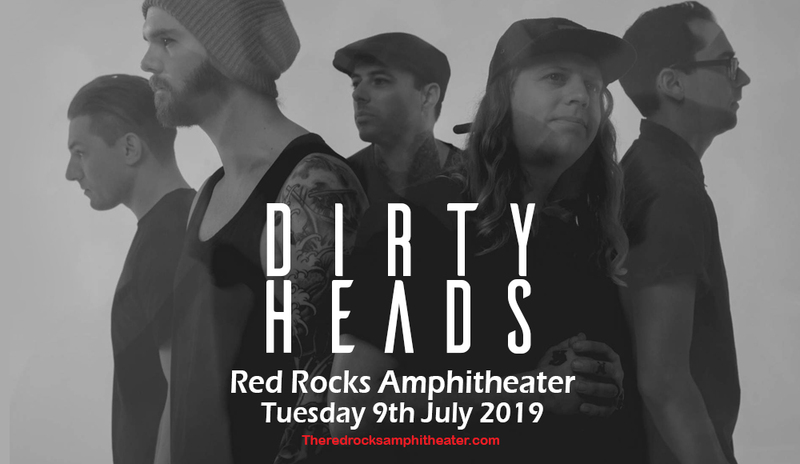 Their sunshiny summer sounds will soon be heard in this city as they rock the Red Rocks Amphitheater on Tuesday 9th July 2019. The Dirty Heads' music is best enjoyed with a gang of friends or a bunch of family members so it makes sense to just book tickets for the whole gang. No one should be left behind, and miss out on this phenomenal show! 1996, Huntington Beach, California. Founding members MC, Jared “Dirty J” Watson and vocalist/guitarist, Dustin “Duddy B” Bushell banded together and created soundwaves. They concocted a blend of pop-punk, reggae and hip-hop sounds, sprinkled their laidback persona, which they signed, sealed, and delivered to the general public as Dirty Heads. Their very first commercial release “Lay Me Down”, featuring Rome Ramirez from Sublime with Rome, clinched the number 1 position on Billboard's Alternative Song Chart for 2010. The entire album included biggies like Beatles sessioner and R&B multi-instrumentalist, Billy Preston, Vandals drummer, Josh Freese and reggae singer Tippa Irie. They came in strong again for their second studio album “Sound of Change”, which debuted at Number 1 on the Billboard Alternative Albums Chart. The single “My Sweet Summer” infused electronica as an added ingredient to their blend of reggae and ska with hip-hop, rock. The sound of the sun and sea is entwined and amplified with the music Dirty Heads. Catch the sonic wave as it hits the Red Rocks! Don't miss it!